I've had the RS for six months now and have been thinking of sharing a few thoughts. 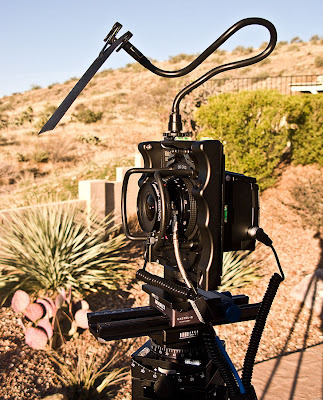 Using a technical camera can be both rewarding and frustrating; however the rewards outweigh the frustration everyday. There I said it! This will be the most negative thing I'll say about the setup, besides the frustration is mainly due to me and nothing Cambo has done. Simple put, I love working with the RS and have no intentions of doing anything else. I normally shoot landscape images - actually I'd have to say that 99.9999% of my images are nothing but landscape. Here's the "however" to that last statement; I will occasionally shoot wildlife and living in the Southwest I like to capture lightning. So the gear I use for that .0001% is either a Canon 1Ds II or Canon 1Ds III (only if Sandy lets me). Up till six months ago my primary landscape kit was first a Mamiya AFD II or Phase AFD III along with a lot of Mamiya lens that included a 28mm all the way up to the 300mm. That changed shortly after speaking to a good friend and my Phase One dealer, Chris Lawery of Capture Integration. The conversation centered around my notion that I wanted to try a camera system that would allow me to use more movements and shifts while keeping the lens in a stationary position; thus my introduction to the Cambo line of camera bodies. I was fortunate enough to test a body that Cambo had just recently released that was made specifically for digital application and it was lust at first sight. It's now six months and several trips later having gone to the South Rim in December, Redwoods in January, Monterey and Carmel in February, Monument Valley in March and Canyon de Chelly in April. 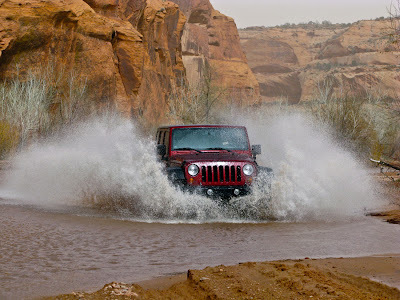 I've used the RS1000 in cold, wet, sandy, windy conditions without any problems. I've changed lens (currently 35 and 72mm) as well as changed the orientation of my Phase One P45+ with little to no problems. And I've captured stunning images. I've used my Phase One AFD III so little in that past six months that I'm now thinking of selling the gear and buying more lens for the RS1000 as well as maybe another body! 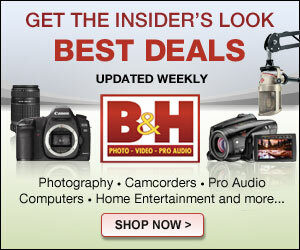 There's a lot of "information" of the web recently regarding photographic gear and obtaining stunning images. I believe there's a partnership between the gear and the photographer; I've found that if I keep my part of the bargain the Cambo RS1000/P45+ will come through for me. 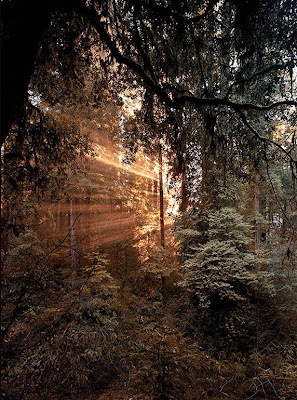 I'm no longer interested in obtaining "great" images I'm only after truly "stunning" images. Look at the sample below and make your own mind up. These images were all captured with the Cambo RS1000 and Phase One P45+ digital back using either a 35 or 72mm lens; the images were processed using a combination of Capture One and CS4. I'll be writing more later on the technical aspects of working with a technical camera so stay tuned. 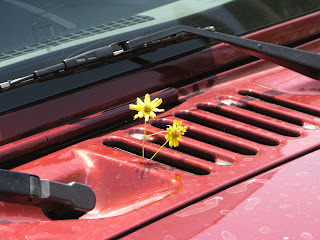 You may have noticed we changed the appearance of the blog. The background color has been lighten and the images are (hopefully) slightly larger. We hope you like the change. And as always, please feel free to leave a comment simply by following the instructions after clicking the word "comments" below. 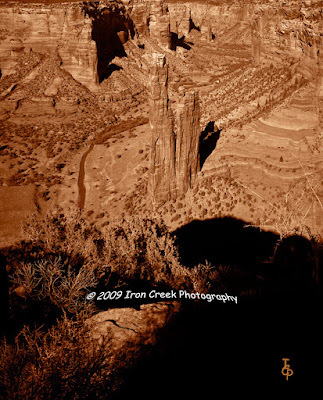 Canyon de Chelly National Monument is located in the Northeastern portion of Arizona in the Navajo Nation near Chinle Arizona. 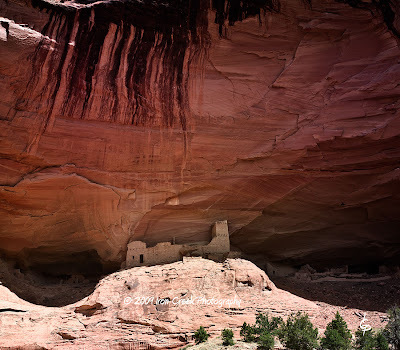 The National Parks Service and the Navajo Nation work as partners in managing the park resources. There are two ways to see the park; visitors are allowed to drive the rim and stop at the various overlooks or actually drive into the canyon itself however you must have a guide for this. 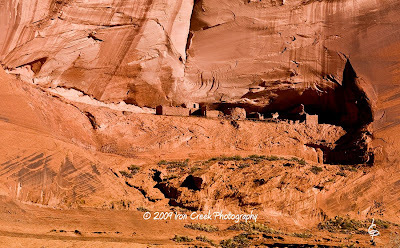 Canyon de Chelly has both a major historical and spiritual significance to the Navajo people. 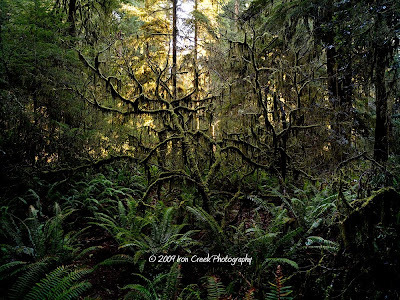 Before going any further I wish to thank Timothy Halwood, owner Twin Trail Scenic Tours for guiding and showing a beautiful area in the Southwest. 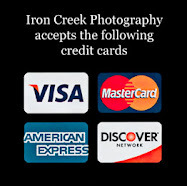 While Tim currently doesn't have a working website he nevertheless can be reach either at 928-349-5560 or via email at mailto:twintrailsscenictours@frontiernet.net. 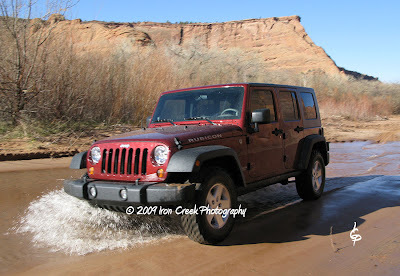 Sandy and I have lived in Arizona since 2004 and pass through Chinle on our way to either Monument Valley or Moab; this was always on our "to do" list but just never got around to doing it till now. 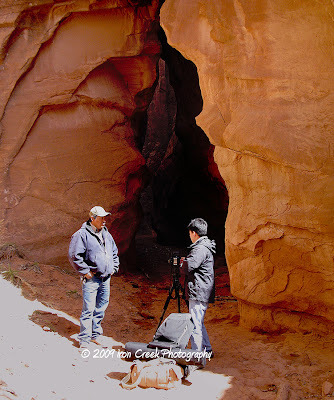 Sandy decided to sit this trip out so I met our good friend Ken Doo (KenDooPhotography) in Chile after he finished a photo shoot in Monument Valley. 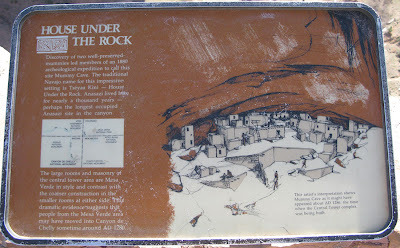 We wanted to see the canyon both from the rim as well as inside and decided to contact Tim for his guide services. 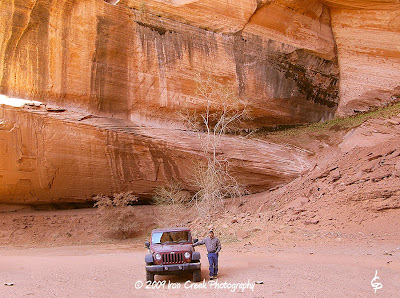 You have several options in visiting the inside of the canyon; group tours in large vehicles or private tours in either the tour company vehicle or your own. The first thing we saw after passing through the entrance was what looked like a river; it's the wet season with snow melt from the higher elevations which makes for a lot of running water. Tim got us out onto the water and gave us directions on where to drive on the "road". We left Mummy Cave and attempted to go into the South Canyon where Spider Rock is located however conditions prevented us from getting there (we'll be back in August). As much as I would have liked photographing Spider Rock from ground level we did however get several images from the overlook. 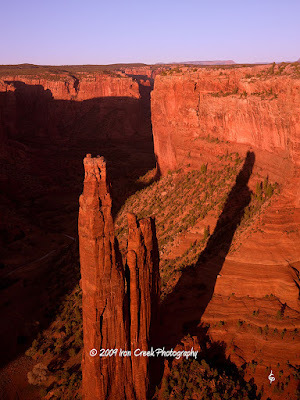 Photo Tip: I feel the best time to photograph Spider Rock is at sunset. 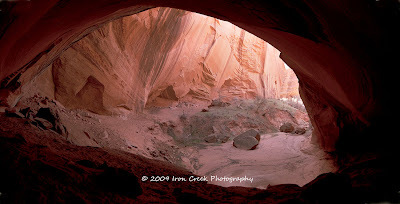 After visiting the North Canyon and attempting to get further into the South Canyon Tim invited Ken and myself to visit his wife's ranch which is located inside Canyon de Chelly. 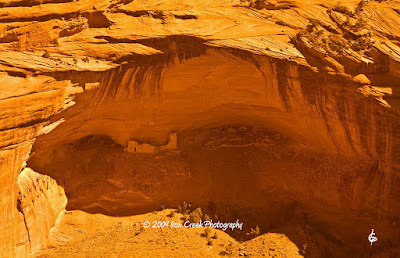 Ken and I are only a small hand full of non Navajo's that have ever seen this area. 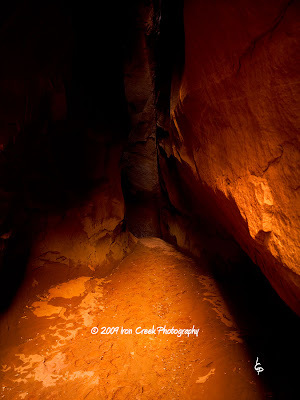 Tim told us that he is in the process of offering this area as a private tour for photographers. All in all despite the cold and wind of the first day and not being able to make it all the way into the South Canyon and Window Rock and Spider Rock the trip was a great success. My only regret is not doing this a couple years sooner. 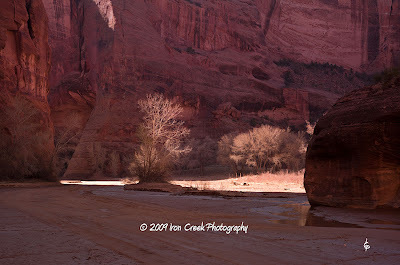 Canyon de Chelly is located in a semi-remote area of Northeastern Arizona in the Navajo Nation and is well worth the effort of getting there. 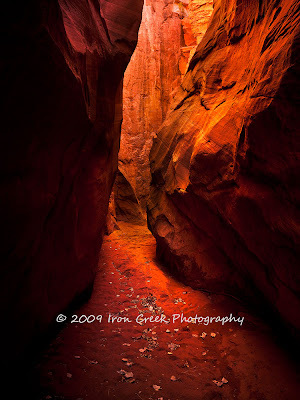 Once you get there take both the North and South Rim drives and if you have the time contact Tim and let him guide you into the canyon - you won't regret the experience. I know this was longer than normal however there was just so much to share. Click on "comments" below if you'd like to leave a message. 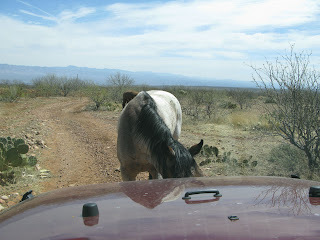 We had such a good time Monday we decided to go for another ride, this time taking the back road up to Mt. Lemmon from Oracle AZ. This road leads to Mt Lemmon which while it's less than 30 miles can and often does take several hours to negotiate to the top requiring a high-clearance vehicle along with stretches of both 4-wheel high and 4-wheel low. The road forks about halfway with the right leading to Mt Lemmon and the left out of the area and back to San Manuel; we decided to go to San Manuel. 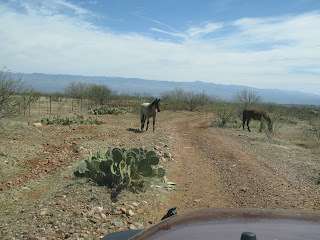 The ride from Oracle leads past the Arizona Trail and further up past Peppersauce Campground in the Coronado National Forest. 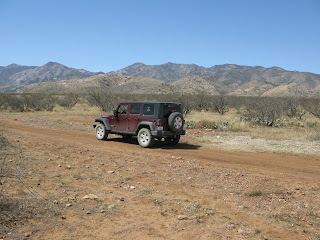 You actually drive on Mt Lemmon Road which turns into a high clearance primitive road once you pass the campground. 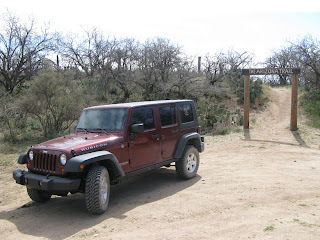 If you have a high clearance vehicle and want to go exploring in an area that sees few people then take this road if you come to the Tucson area. Just click on the word "Comments" below if you'd like to leave a message.